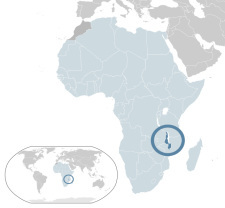 Malawi is located in southeastern Africa, near Zambia, Zimbabwe, Mozambique, and Tanzania. Over 16 million people live in a narrow area about ⅓ the size of California. About 13 million of these people live in a village setting, in mud huts with grass roofs. Farming is by far the most common occupation – some for export, but most simply for survival. Despite being one of the poorest countries in the world, Malawi has had a fairly stable history, which is not common in Africa. Malawi has seen many missionaries over the years, as far back as David Livingstone. Both the stability and the Christian influence are factors in creating a society that often smiles, even in the face of poverty and difficulty. Malawi’s slogan is “The Warm Heart of Africa,” and almost anyone who’s been there will confirm that these are warm-hearted people. Christian influence, happy people – why does Malawi still need missionaries? Because the people of Malawi (like all people) need more than just familiarity with Christ; they need to treasure Him. They need more than just a superficial happiness; they need genuine joy that persists in their hearts. We believe the goal is maturity in the faith. And that comes as the church in Malawi gains a deeper understanding of God’s Word and is changed by Him.